UPV/EHU employs over 7.000 people throughout 31 faculties and schools geographically distributed in three campuses with over 50.000 undergraduate and postgraduate students. It holds agreements with more than 400 international universities. Five departments are involved in this proposal together with three Associate Centers. UPV/EHU in involved in the lecturing of tracks A and B in semester 2 in modules 1, 2, 4 and 5. 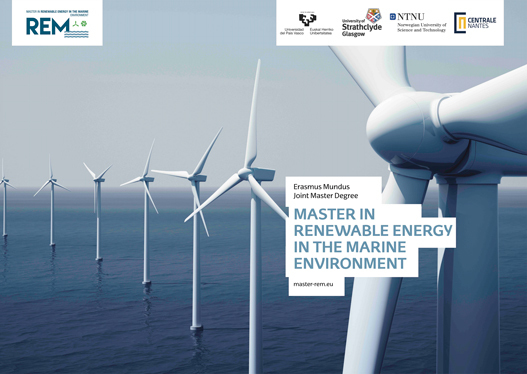 UPV/EHU expertise is focused in the aerodynamics for marine applications including offshore wave energy assessment, electrical and electronic equipment and control principles. The connection and integration into the electricity grid is a field in which UPV/EHU has a long experience both teaching and researching. Associate center BCAM is focused in the mathematical formulation of CFD whereas TECNALIA has a large experience in operation and maintenance of marine devices and finally IH CANTABRIA is expert on environmental issues and deployment of marine devices counting with its own water tank.